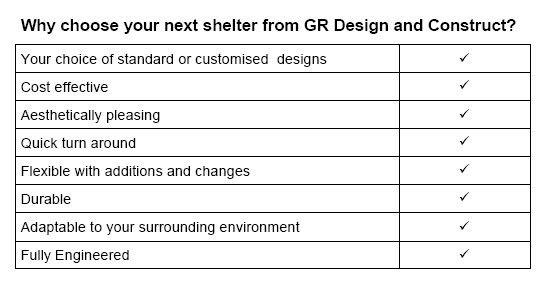 We produce a variety of high quality shelters that are engineered to be durable, long lasting and are designed for your unique open space. 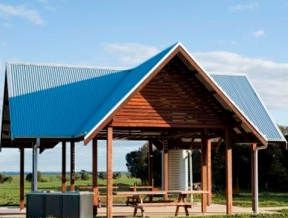 These structures are ideal over new or existing bbq's and picnic settings and our shelters can also house information boards. 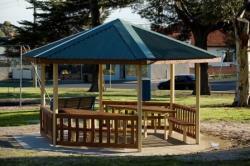 They come in a large range of sizes and materials, there is no project too small or large. 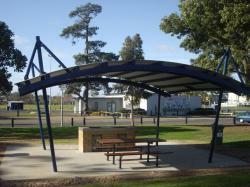 We can design and construct a custom shelter to suit your needs. Choose from a variety of roof shapes and sizes to suit the traditional or residential surroundings in both city and rural areas. 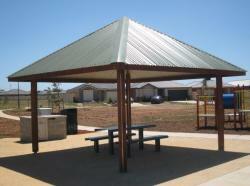 Pavilion shelters offer an economical alternative to the Oxley range of shelters. 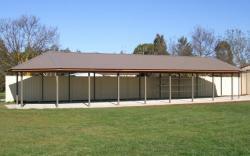 They are perfect structures for schools and kindergartens increasing effective shade space.